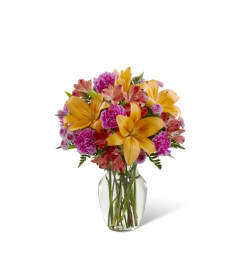 The FTD® Sweet Splendor™ Bouquet has a citrus sweet vibe that is set to help you celebrate your special recipient! 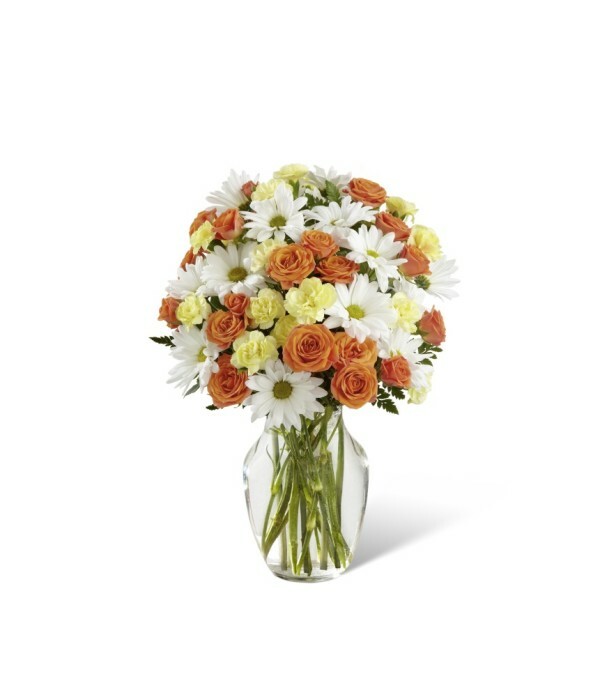 White traditional daisies provide a perfectly beautiful background for the bold colors of the orange spray roses and yellow mini carnations to pop, making this an unforgettable fresh flower arrangement. 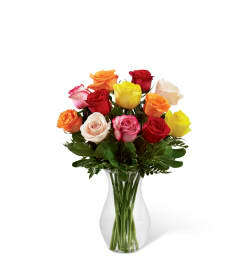 Presented in a clear glass vase, this flower bouquet is created just for you to help you send your warmest happy birthday, thank you, or get well wishes to friends and family near and far.